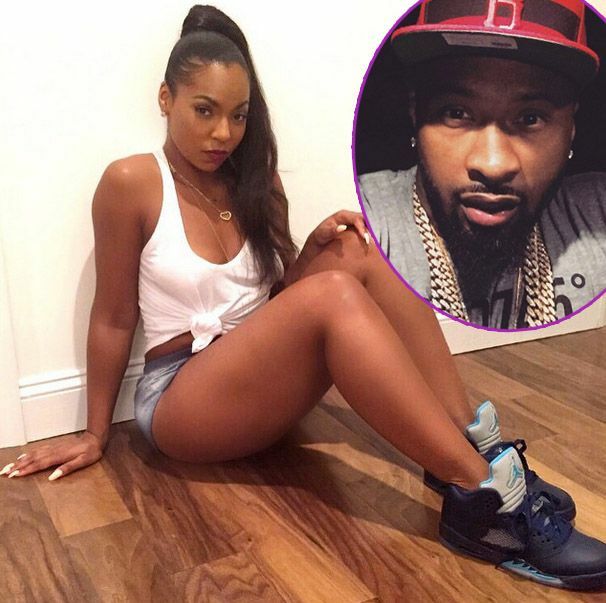 Does Ashanti have a new man? We think so. And we think it’s San Francisco 49ers baller Darnell Dockett. 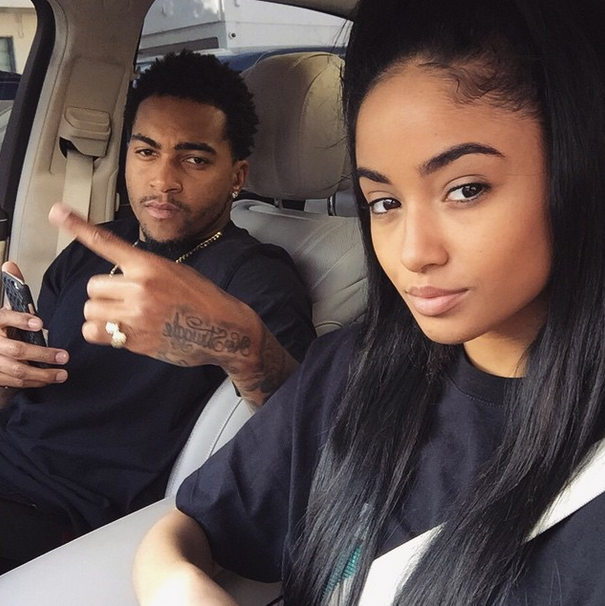 Find out why and get the deets on Washington Redskins wide receiver DeSean Jackson baby announcement with girlfriend Kayla Phillips inside…. “Ashanti got a man at…home…and he’s so good to her.” Ha! No, but seriously. 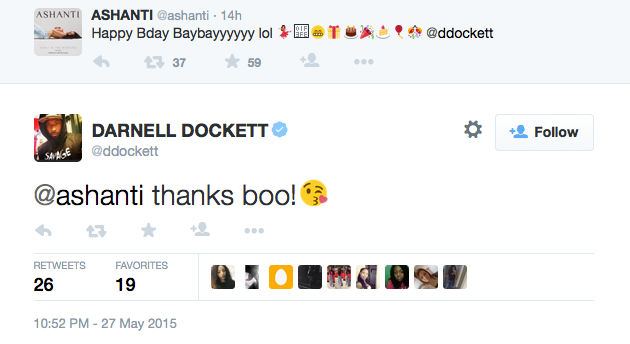 It appears Ashanti may have a new man in her life. The lucky guy? San Francisco 49ers defensive end Darnell Dockett. We've been hearing plenty of credible rumors about their new dating situation. And now, there's this. Since calling it quits with Nelly, the Braveheart singer has been pretty secretive about who she may or may not be dating. You’ll recall, during a panel discussion on “The Meredith Vieira Show” back in April, the 34-year-old songstress (who was once linked to Washington Redskins baller DeSean Jackson) confirmed she had hopped back in the dating pool and went on an amazing first date with a guy, but she kept his name under wraps…until now. She captioned, "When he makes ur mood a reality... #CurrentMood #Thankubabe"
The twosome have been e-flirting on social media in the past month and now it looks like it’s almost official. Neither Ashanti nor Darnell have confirmed their coupledom status, but it definitely looks like these two are in the beginning stages of a new relationship. Not mad. Darnell is the father to two beautiful children, Dillon Dockett (8) and Riley Dockett (1). Once Ashanti meets his kids (if she hasn’t already), then we’ll know it’s real. We’ll get an inside look at their life together on DeSean’s upcoming BET reality series titled, “DeSean Jackson: Home Team.” According to Variety, the show will center around the star receiver and the women who run his life, including his girlfriend Kayla, "momager" Gayle, his sister and assistant A'Dreea, and his publicist Denise. The show is set to premiere June 30th. PREVIOUS: TOO DAMN REAL (AND GROWN! ): Cheryl Lynn DRAGS And Unbothered Anita Baker On Twitter For Blocking Her + Tiffany Evans BLASTS CHEATING Husband Lorenzo Henderson On Instagram!